This post first appeared in the St. Louis Beacon: August 4, 2008 - As new immigrants make their homes in the St. Louis area, something as simple as reading a novel or the newspaper can be a challenge. Finding reading materials in such languages as Hindi, Spanish or Croatian means more than going to the nearest bookstore. One has to know where to look. Local bookstores, foreign language newspapers and local libraries try provide access to literature in languages other than English. They want to encourage continued connection to people's homelands and to help new residents integrate into American society. St. Louis and the surrounding areas were built by waves of immigrants. From Germans to Czechs to Irish and Italians, groups who are not native English speakers have built St. Louis. Local libraries acquired books in those languages for years. The library on South Grand has material in Spanish, Chinese, Vietnamese, Farsi, Arabic and Bosnian. As immigrant groups such as Bosnians, Vietnamese, Mexicans and others arrive in the area, libraries must look to their collections, Kate Sathi of the St. Louis Public Library said. "We do try to respond to the public," Sathi, who heads the system's acquisitions department, said. "As we get new things, we have to pull older things." Libraries throughout the area use demographic data and anecdotal evidence from their branches to decide what languages to look toward in adding to their collections. Adding foreign language books and media can be a challenge because cataloguing costs are higher, finding materials is more difficult and American publishing rights are not available for all books. The city library system set aside $30,000 this year just for foreign language books. Adding just one foreign-language book can cost up to $30. The city's libraries conducted a study of its collection earlier this decade and is planning another this fall. With more than 10,000 materials in languages ranging from Welsh to Arabic, the city libraries' foreign language offerings have increased by 6,000 since 2000. Many of St. Louis city's foreign-language materials can be found on South Grand Boulevard at the Carpenter Branch Library. Contella Farley, the library's reference technician, said the types of materials patrons ask for "kind of go all over the place." The library has Spanish, Chinese, Vietnamese, Farsi, Arabic, Bosnian and other languages on its shelves. A Spanish reading club will resume meetings in August and there have been other activities to encourage new immigrants to come browse at Carpenter. Kathy Wiese manages acquisitions for St. Louis County's libraries. "It is a challenge both in selecting [foreign language materials] and cataloging it. Wiese said. "It's hard to get good materials. One of the challenges is not only content but quality." Libraries must identify where to get books outside their traditional suppliers and, in some cases, have to reject books they receive that are in poor condition or that don't meet other library quality standards. 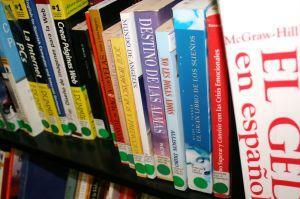 St. Louis County has 5,000 Spanish books and adds 270 a month to its 20 branches. Bosnian, Hindi and other languages are also represented. Magazines and DVDs with foreign language tracks are also parts of the collection. Wiese said that programming is key to giving new immigrants access to books in their languages. "Our goal is to reach out to our multicultural community with both our collections and our programming," Wiese said. St. Louis County hosts programs ranging from story times to cooking demonstrations. 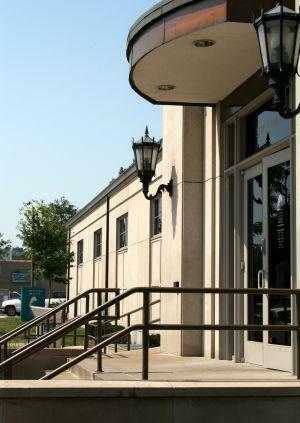 The demands of its Spanish-reading community caused the Mississippi Valley Library District to move an entire facility. The district, which includes Collinsville, East St. Louis and Fairmount City, moved a branch to Fairmount City along with most of its Spanish-language collection. "We saw a real need for Spanish materials," Barbara Rhodes, the district's director, said. About five years ago, the Mississippi Valley district examined its collections and its community. Fairmount City has a Hispanic and Mexican population of 55 percent. The district moved a branch to the city "in hopes that if we take it to them, we will be more successful." Most of the district's foreign-language materials, with the exception of the Fairmount City branch, are in Collinsville. Rhodes estimates that about 10 percent of the system is in a foreign language. The district plans to continue adding to its collections and continuing with English as a Second Language and other programs. "We're working on it, but in only five years in doing this, we're not nearly what we are in the general collections," Rhodes said of the number of materials available. Amelia Flood is a freelance journalist.